Calming Supplements Insect Defense Supplements Respiratory Supplements Metabolic Supplements Muscle Supplements There's a Supplement for that? Learn about the problematic gap between how your horse lives now and the life he was evolved to lead. 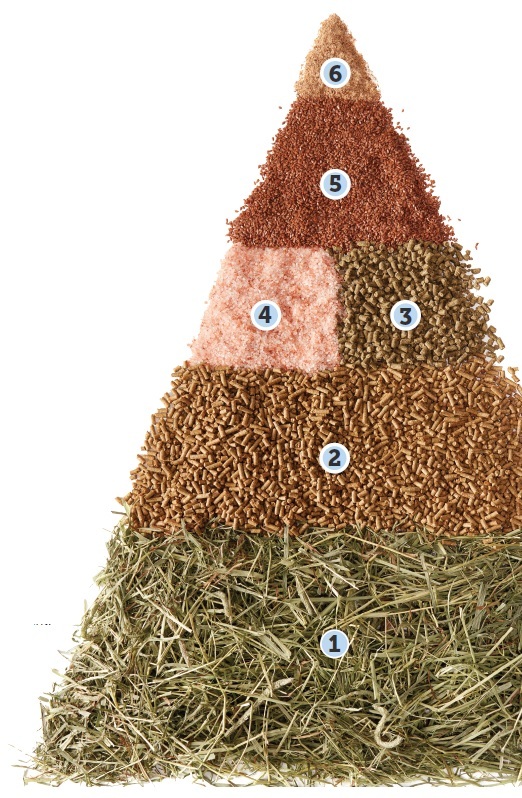 Hay and pasture are the real heroes of your horse’s diet, and we’ll tell you why. We’ll explain why your first question should be "does my horse need grain at all?" Read about how vitamins, minerals, and proteins fit into your horse’s diet. Learn why this best-selling supplement category is a sound investment for your horse. Read about how supporting your horse’s hooves is a step in the right direction. We’ll help you understand why helping your horse’s hindgut is critical to his health. 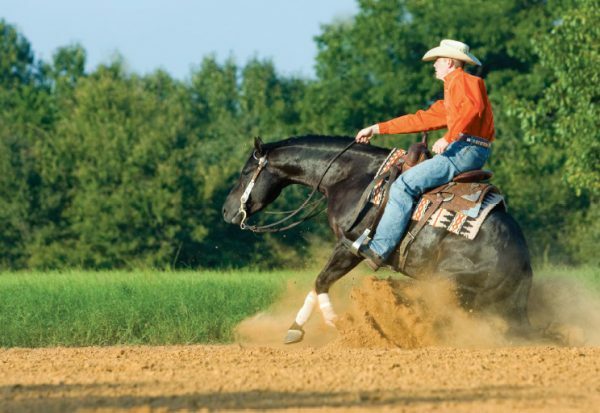 Saddling up shouldn’t be stressful, so we’re here to help you relax and enjoy the ride. Do the pesky pests drive your horse crazy? Check out how supplements can help. Learn how supplements in this category can help your horse breathe easy. 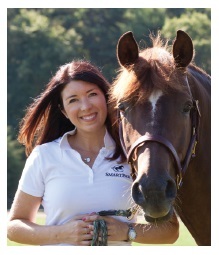 Dr. Lydia Gray answers questions riders like you have asked about their horse’s diets. 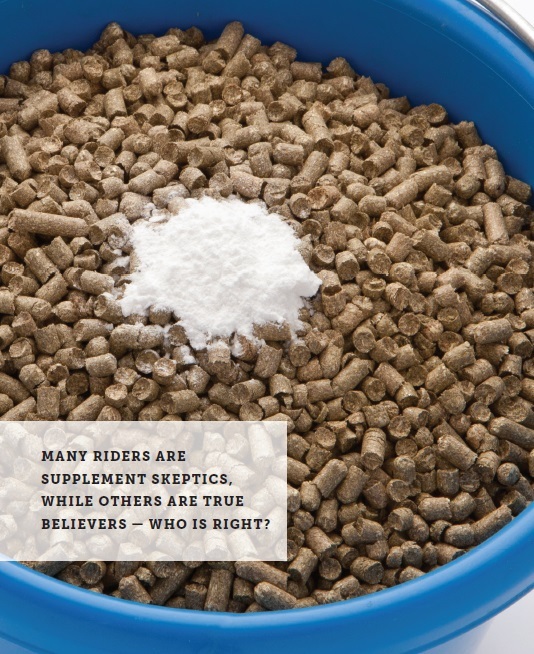 Dr. Lydia Gray answers the questions riders like you have asked about supplements. Dr. Lydia Gray is taking us into the barn to learn about horse nutrition and more! Horses are designed to spend most of the day grazing (10–17 hours per day). Because they're built to constantly take in small amounts of food, their stomachs are always producing acid, whether there is food to digest or not. Left to their own devices, horses spend most of their time slowly walking as they graze, only occasionally running from danger, to play, or to fight. As prey animals, horses find safety in numbers. Herds are relatively consistent, with few new adult horses suddenly joining, and therefore a steady hierarchy of dominance. Horses evolved to lead consitent, healthy lives, with relatively minimal exertion. However, modern horses don't live that way, which can cause big problems. It doesn't matter if a horse lives in a backyard barn or a world-class show facility, every modern horse is exposed to some level of unnatural stress that can put their health and well-being at risk. Even in the very best barns with the most conscientious owners, modern horses are often subjected to unnatural stresses that can pose serious health risks, from colic to gastric ulcers, and beyond. While many horse owners are aware of — and often worried about — these troublesome and painful problems, most don't realize that there is a lot you can do to help your horse. Management and environment changes can help reduce risks, and proper nutrition — including supplements — can help your horse cope with the stress you can't avoid. It can be tempting for owners of boarded horses to simply say "my barn handles the feeding," and it's easy for those of us who keep our horses at home to find comfort in the fact that "this is the way I've always done it." But just because something is easy, or the way it's always been, doesn't mean that it's right. It's on each of us — everyone who loves and cares for a horse — to make sure that our horse has everything he or she needs to look and feel their best. And just like with humans, it all starts with nutrition. Focus on Forage This is the basis of your horse's diet, and the most natural food source—to learn more about forage, click here! Evaluate Energy Needs For many horses, forage alone is enough, but if your horse needs additional calories, click here to learn about grain. Round out the MVPs To learn how vitamins, minerals, and protein fit into your horse's diet, click here. Add a Dash of Salt No, that old salt lick in the corner of his stall won't do. Click here to learn why. Balance Your Fats Different fats work in different ways. Click here to learn why it's important to mind your 3s and 6s! Add Supplements as Needed Does your horse need a supplement? If so, what kind?! We'll walk you through the best-selling basics and the most popular problem-solvers. Modern horse-keeping is sometimes at odds with how horses were designed to live and eat, and that can lead to big problems for your horse's health. Luckily, even if you're not able to completely overhaul the way you feed your horse, there are changes you can make that will help keep him happy and healthy. In this section, we'll detail the six key steps you can take to build your horse's ideal diet. Hay & pasture are the real heroes, but grain gets all the glory. When most riders and horse owners think about feeding their horse, their mind often jumps first to grain. Think about switching barns, going to a horse show, or trying a new feed store—you often think, "I wonder if they'll have my brand." Perhaps it's because horse owners are often involved in selecting their horse's grain, while hay is just sort of "there." Or maybe it's because grain is more similar to kibble, so we think of it as being the same as feeding our dogs. Or, perhaps more likely, it's because there are so many companies advertising grain that it's always top of mind. While grain may be top of mind for horse owners, it's actually forage that should be the foundation of every horse's diet. But what actually is forage? The foundation of your horse's diet can be made up of fresh forage (grass pasture), cut and dried forage (hay), or a combination of the two, depending on your horse's individual needs. Let's walk through the most common forage types and discuss the pros and cons of each. Legume Hay: When cut and dried to make hay, legumes like alfalfas and clovers produce a very high-quality hay that can have great health benefits when fed appropriately. 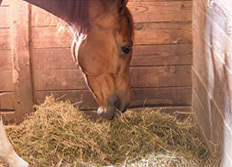 Because legume hay is much more calorie- and protein-dense than grass hay, it should be fed in moderation, and is usually best used as part of the diet of performance horses who have increased demand for energy. Otherwise, like fresh pasture, in excess it can contribute to obesity. 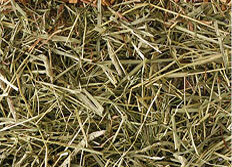 Grass Hay: Grass hay provides the minerals of fresh grass, and the long stem forage your horse needs for healthy digestion and weight maintenance, with fewer concerns about contributing to obesity. This makes it a popular choice for barns serving a variety of horses, because for many horses it can be given free choice throughout the day, with little management required. *Note: it's certainly fine to mix grass and legume hay, but if you do, we recommend mixing in both at every serving, rather than alternating between meals. 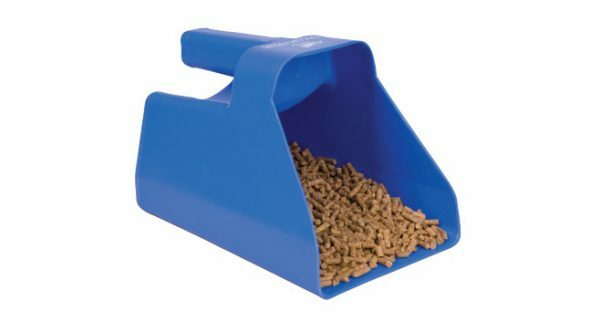 This will provide the most consistent digestive experience for your horse, and consistent digestion is healthy digestion! We refer to forage as the foundation of your horse's diet because, at a base level, horses should be eating 1–2% of their bodyweight in forage every day. 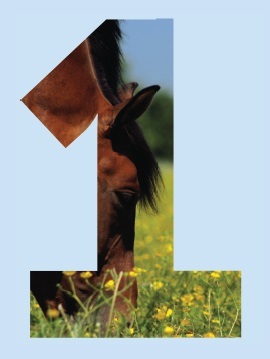 For a 1,000 lb horse, that's at least 10–20 lbs of forage per day. You'll notice that when it comes to measuring out your horse's forage, we're speaking in l-b-s, not f-l-a-k-e-s. That's because all bales are not created equal. Even if you're just getting a new cut of hay from the same field you used earlier this year, the density of the bales and flakes might have changed. That's why our Staff Veterinarian and Medical Director, Dr. Lydia Gray, always recommends weighing your hay whenever you get a new cut. Dr. Gray’s preferred method is to use a hanging scale, like the kind you see at the fish market, or the ones you can buy to weigh your luggage at home. Whenever you get a new delivery of hay, have someone in the barn weigh a few flakes from a few different bales throughout the load, and use those results to calculate an average. From there, it’s simple math!” For example, if your horse weighs 1,000 lbs and you weigh your hay and find that the average flake is about two pounds, you'd need to feed 5–10 flakes over the course of the day to meet your horse's 1–2% bodyweight requirement of 10–20 lbs of forage per day. Consistency is the name of the game when it comes to feeding for digestive health. Because modern horses were limited to the distance they could travel on their own four hooves, they experienced changes in pastures very gradually, giving their digestive systems time to adapt. However, modern horse owners often change their horse's forage rapidly, whether through moving to a new barn or buying hay from a new farmer. Unfortunately, rapid changes in forage are a risky business. Sudden changes in hay—including switching to a new cut from the same field—can cause a 10X increase in your horse's risk of colic! And the risks don't stop there. Digestive disruption can contribute to everything from mild diarrhea to laminitis and founder. That's why it's important to make changes to your horse's diet as slowly as possible. Because changes in hay are unavoidable, we firmly believe that providing daily digestive support is a smart choice for every horse. Learn more about how digestive supplements work here. You might have noticed earlier in this article that we described feeding your hay "over the course of the day," rather than saying "each meal." That's because horses weren't designed to eat large, infrequent meals. That's something we introduced into their lives, because it's how our meals are traditionally structured. Eating large, infrequent meals doesn't cause problems for us humans, because our stomachs only produce gastric acid once we start eating. But when it comes to your horse, he was designed to be a "trickle feeder," spending most of his day (10–17 hours) slowly grazing. As a result, his stomach is constantly producing gastric acid, whether there’s food there to digest or not. When paired with infrequent meals, this is a recipe for tummy trouble. Normally as horses graze, their bicarbonate-rich saliva mixes with the long-stem forage they’re consuming and protects the sensitive stomach lining from the corrosive effects of this gastric acid. But the longer a horse’s stomach sits empty and unprotected in between large meals, the more at risk he is for developing gastric ulcers. Plus, the lower portion of the stomach (where gastric acid is actually produced) is lined with glandular mucosa. Not only is this lining built to withstand the harsh effects of stomach acid, it also produces bicarbonate and mucus as an added layer of protection. 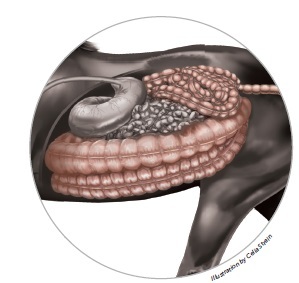 The upper portion of the stomach is lined with nonglandular mucosa, which is less able to hold up to acid exposure and does not produce protective material like mucus and bicarb, making it that much more important to feed small meals frequently or allow grazing. In an ideal world, your horse’s ears would always be forward and his tummy would always be full. But we know not every barn can provide free-choice hay throughout the day, and many horses can’t have unrestricted hay due to weight management concerns. But if your horse has to spend long periods with an empty stomach, it’s your responsibility to support a healthy stomach, whether that’s with a gastric health supplement, a small-hole hay net to keep forage in front of your horse longer, reducing the amount of grain he gets, or some combination of those options. Click here to learn more about gastric health supplements. Focusing on forage as the foundation of your horse’s diet is a smart way to help keep him happy and healthy. Smart management of your horse’s forage intake will have wide-ranging impacts on his health — from weight maintenance and overall body condition to supporting healthy, normal functions throughout his delicate digestive system. That’s why it’s worth the investment of time, energy, and attention to focus on forage first. Keep reading to learn where grain fits in to your horse’s diet (if at all!). 1. Forage is the foundation of your horse’s diet. 2. Aim to feed at least 1–2% of your horse’s bodyweight in forage every day. 3. Make changes as gradually as possible, and consider providing daily digestive support. 4. 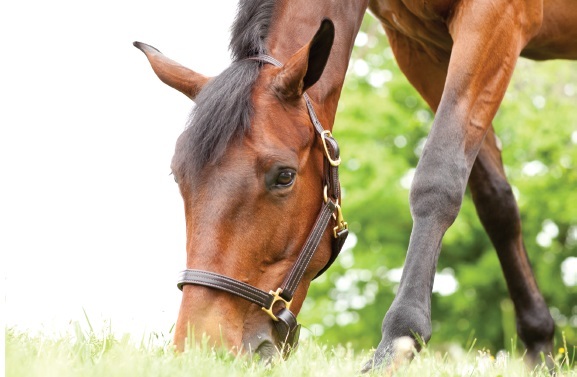 Keep forage in front of your horse for as much of the day as you can. Many horse owners think the only question to ask about grain is, "how much?" But you should actually start with the more basic question, "does my horse need grain at all?" Asking questions like this to help design your horse's ideal diet has a two-fold goal. 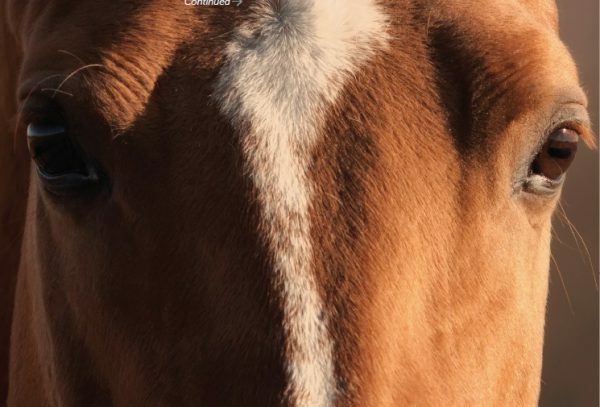 The first is making sure your horse has all the nutrients he needs to look and feel his best (this will be covered more in the following chapters). The second is to provide enough energy (calories) for your horse to maintain a healthy body condition and support his level of work, while avoiding the problems associated with feeding grain if it's not needed. It's hard to resist the urge to squeal over how adorable a chubby pony is, but unfortunately, overweight horses and ponies aren't cute — they're unhealthy. Being too thin also comes with risks and health concerns. But who decides whether a horse is too fat, too thin, or just right? You can, thanks to the Henneke Body Condition Scoring Scale! Developed by Dr. Don Henneke and universally used by veterinarians, nutritionists, and other equine health professionals, the scale provides a standard scoring system for horse owners and professionals to use when evaluating a horse’s fat cover. The scale ranges from 1, which is the thinnest, to 9, which is the fattest, making 5 the ideal score for most breeds and disciplines. Don’t know who to body condition score? Check out our step-by-step instructions on how to body condition score your horse below. This tool offers an excellent way to measure trends in your horse's weight because it provides a standard system for you, your veterinarian, and other equine professionals to use and compare. It runs from 1, which is "poor" (the thinnest) to 9, which is "extremely fat" (the fattest). A score of 5, or "moderate", is ideal for most breeds and disciplines. However, in some sports (like racing) and some life stages (like pregnancy), a higher or lower score may be preferred. When body-condition scoring your horse, you evaluate the amount of fat cover he has in six areas. As you assess each location, be sure to feel the thickness with your hands, as looks can be deceiving! Assign a numerical value to each area, then average them to come up with one final score. POOR: Animal is extremely emaciated; vertebrae, ribs, tailhead, and pelvic bones projecting prominently; bone structure of withers, shoulders, and neck easily noticeable, no fatty tissue can be felt. VERY THIN: Animal is emaciated; slight fat covering over tops and sides of vertebrae, but the vertebrae, ribs, tailhead, pelvic bones are still prominent; withers, shoulder, and neck structure faintly discernible. THIN: Fat buildup about halfway on tops of vertebrae; sides of vertebrae cannot be felt; slight fat cover over ribs; vertebrae and ribs easily discernible; tailhead prominent, but individual vertebrae cannot be identified visually; sides of pelvis appear rounded but easily discernible; back of pelvis not distinguishable; withers, shoulders, and neck accentuated. MODERATELY THIN: Slight ridge along back; faint outline of ribs discernible; tailhead prominence depends on conformation, fat can be felt around it; the side of the pelvis is not discernible; withers, shoulders, and neck not obviously thin. MODERATE: Back is flat (no crease or ridge); ribs not visually distinguishable, but easily felt; fat around tailhead beginning to feel spongy; withers appear rounded over vertebrae; shoulders and neck blend smoothly into body. MODERATELY FLESHY: May have slight crease down back; fat over ribs spongy; fat around tailhead soft; fat beginning to be deposited along the side of withers, behind shoulders, and along the sides of neck. FLESHY: May have crease down back; individual ribs can be felt, but noticeable filling between ribs with fat; fat around tailhead soft; fat deposited along withers, behind shoulders, and along neck. FAT: Crease down back; difficult to feel ribs; fat around tailhead very soft; area along withers filled with fat; area behind shoulders filled with fat; noticeable thickening of neck; fat deposited along inner thighs. EXTREMELY FAT: Obvious crease down back; patchy fat appearing over ribs; bulging fat around tailhead, along withers, behind shoulders, and along neck; fat along inner thighs may rub together; flank filled with fat. As we learned in the previous chapter, forage should be the foundation of your horse’s diet, as it’s an ideal feed source for keeping your horse’s digestive tract happy and healthy, and it provides the bulk of your horse’s required nutrition. For many horses, healthy servings of pasture and/or hay throughout the day are more than enough to sustain a healthy body condition. So where does grain come in? Traditionally, whole cereal grains such as oats, corn, and barley were fed to race horses, draft horses, and other horses working for a living in order to help them meet their energy or caloric needs. A forage-only diet just wasn’t calorie dense enough for working horses (or pregnant or lactating mares) to maintain their weight. As horses evolved from "beasts of burden" into the lovable family members and formidable athletes we know today, more and more barns started to move away from whole cereal grains, as these feedstuffs don’t have sufficient protein, vitamins, or minerals to provide a complete a balanced diet. Instead, these barns started feeding commercial, "fortified" grains, like pellets and sweet feeds. These fortified grains were developed by feed companies, and are made up of a combination of cereal grains and additional protein, vitamins, and minerals, to provide a perfect complement to a hay-only diet. While this was a great idea, the trouble is that these important nutrients are directly tied to the considerable calories in the fortified grain, meaning you can't increase or decrease one without increasing or decreasing the other. As a result, in order to have a full serving of nutrients, your horse must also take in the full serving of calories, which many horses don't need. Given the rise in popularity of fortified grains, and the challenging correlation between nutrients and calories we just reviewed, it's not terribly surprising that a recent study found that 50% of horses and ponies are overweight. That’s why body condition scoring your horse (as outlined above) is a critical step in building your horse's ideal diet! Additionally troublesome is the fact that whole grains and most commercial feeds are much higher in omega 6 fatty acids than omega 3 fatty acids. While both are essential in the diet, omega 6s are generally considered pro-inflammatory, while omega 3s support anti-inflammatory reactions. Since horses were built to thrive on grasses, which have more omega 3s than 6s, high grain diets can result in a chronic pro-inflammatory state. This can result in added stress on cells throughout the body. Lastly, and perhaps most concerning of all, is the fact that diets high in grains have been associated with an increased risk of both gastric ulcers² and colic. Given all that, we SmartPakers always recommend feeding the minimum amount of grain needed to maintain your horse’s weight and energy levels (and keep in mind, for many horses, that’s no grain at all!). Concerned about coming up short? If thinking about reducing or eliminating your horse’s grain leaves you concerned about him missing out on key proteins, vitamins, and minerals, you’re right to worry (and your horse is lucky to have such a smart owner!). Fortunately, there are plenty of ways to fill that nutrient gap without filling up on unwanted calories. Read on to the next chapter to find out how! Body condition scoring is a critical first step to understanding if grain is right for your horse. Because grain is calorie-dense and rich in pro-inflammatory omega 6s, it’s wise to feed the minimum amount of grain needed to maintain weight and energy (which may be none at all!). That’d be minerals, vitamins, and proteins, of course! 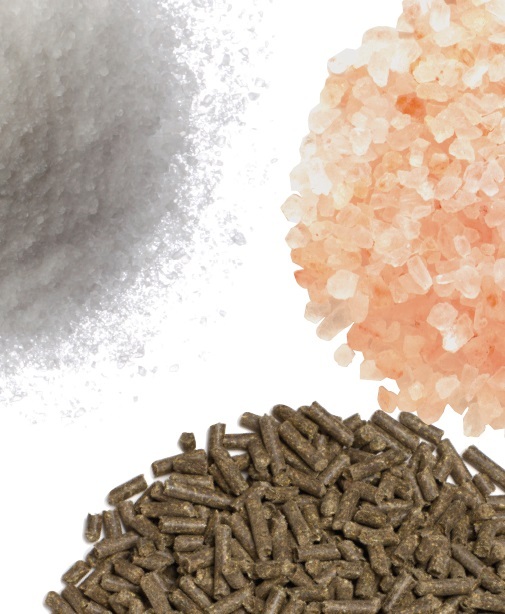 Vitamins, minerals, and proteins are all critical components of your horse’s diet, but depending on how much and what type of forage and grain your horse is receiving, his diet may well be coming up short on these key nutrients. The best way to find out exactly what your horse is getting— and what he’s missing—is to work with an equine nutritionist or use a service like FeedXL to analyze your horse’s diet and then act on his individual results. For the purposes of this guide, however, there are some general guidelines on how to balance your horse’s diet and be smarter about making sure he’s got what he needs. While your horse’s forage supplies some protein, vitamins, and minerals, it’s likely not enough to fulfill his daily requirements. You can do a hay analysis or forage testing to find out this information for sure, and depending on the answer, you’ll likely either want to add a ration balancer or multi-vitamin/mineral supplement to complement his forage. If your horse’s pasture and/or hay is very high quality, his protein needs may be fully covered by his forage, in which case you’ll only need to add a multi-vitamin/mineral supplement, to ensure his diet is complete. If your horse’s pasture and/or hay come up short on protein supplies, you should opt for a ration balancer, in addition to his daily forage. Ration balancers supply the same key vitamins and minerals as a multi-vitamin/ mineral supplement, plus enough protein to meet your horse’s daily requirements when fed at the recommended serving. Unlike fortified grains, neither multi-vitamin mineral supplements nor ration balancers contain a significant source of calories, making both options a great choice for easy keepers and other horses who need to avoid grain. If your horse is receiving any amount of grain in addition to his hay, you’ll need to figure out how much before you know what to do to help round out his diet. 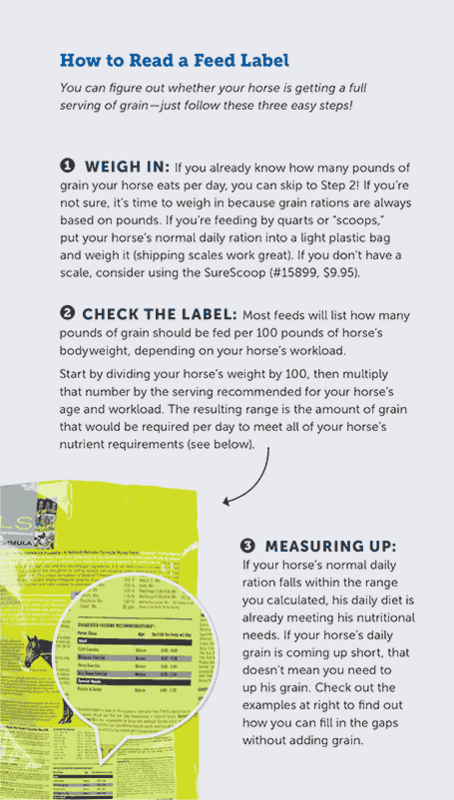 To start evaluating your horse’s current serving of grain, read the label on his feed bag. Not sure how? Check out our step-by-step guide at right. If your horse is receiving a handful of grain, you can skip back up to the section for horses on no grain at all, since any nutrients received would be in negligible amounts. If your horse is receiving a partial serving of grain, he’s also only getting a partial serving of vitamins and minerals. As a result, you should add a multivitamin/ mineral supplement to help ensure his diet is complete. If your horse is receiving a full serving of grain, his protein, vitamin, and mineral needs should be met. We surveyed horse owners and found that 7 out of 10 horses aren’t receiving a full serving of grain¹. This isn’t necessarily a bad thing, as many horses don’t need grain to maintain their body condition. However, if your horse is in that majority, it’s up to you to fill that nutritional gap. Did you know that your horse’s age and workload can affect the levels of vitamins and minerals he needs? It’s true! That’s why we created a lineup of four targeted SmartVite formulas. Whether you’ve got a young horse in heavy work or a senior who’s retired, we’ve got the perfect SmartVite supplement to provide daily support. 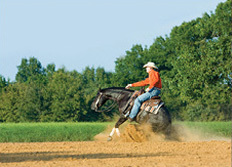 Find the right one for your horse at SmartPak.com/SmartVite. We’re busting some salty myths in this chapter! False! A lot of times, we project our knowledge of human nutrition and health on to our horses. In some cases, this is totally fine (getting regular exercise is good for both of us, for example). False! Hay, pasture, and commercial feeds provide very little salt, so top-dressing meals with table salt or an electrolyte supplement can help your horse get what he needs. False! These two supplement categories are similar, but different. Let’s take a deeper look at how and why, and when you should feed each one! When you add up all these common myths, it’s easy to see why so many horses’ diets end up coming up short on salt. That’s why we recommend adding a daily serving of salt to your horse’s feed. You can use regular old table salt, but since many horses don’t like that strong of a flavor, we created SmartSalt Pellets, which provide your horse’s daily requirement of one ounce of NaCl, and are approved by our pickiest eaters! Inorganic compounds in your horse’s body, which are capable of conducting electrical currents and play a major role in controlling fluid balance within the body. Notable electrolytes include: sodium, potassium, magnesium, calcium, chloride, and bicarbonate. That’s right! Sodium is an electrolyte! Confused? Keep reading! A classification of supplements whose primary purpose is to help replace the minerals (electrolytes, including sodium) lost when your horse sweats, and help encourage drinking. While most electrolyte supplements contain some salt, they don’t always contain a full ounce per serving, so it’s important to check. Salt is essential for your horse’s overall health, and he’s likely not getting enough from hay and grain alone. Omega 3 fatty acids support anti-inflammatory responses in your horse’s body, while omega 6s support pro-inflammatory responses. While occasional inflammation plays an important role in your horse’s overall health, a chronic state of inflammation can be problematic, causing stress in your horse at the cellular level, increasing wear and tear on joints, and more. That’s why experts recommend that your horse get two to four times more omega 3s than omega 6s in his diet. Unfortunately, with many horses’ diets, that’s easier said than done. Let’s take a look at why. As you now know, your horse was built to thrive on fresh grass. What you may not yet know is that fresh grass contains more omega 3 fatty acids than omega 6s. However, because acres of fresh pasture can be hard to come by (and because some easy keepers and other horses can’t have unlimited access to grazing), most modern horses' diets are primarily composed of hay and grain. This presents a challenge because by the time it’s cut, dried, baled, and stored, hay contains virtually no omega 3s. Even worse, fortified grain is high in omega 6s, so the combination of a low-pasture, high-grain diet can lead to an imbalance in the omega 3 to omega 6 ratio that sets the horse up for a chronic state of inflammation. Adding a daily supplement that’s jam-packed with beneficial omega 3 fatty acids is a smart way to support your horse’s overall well-being, and let his good health shine through! SmartOmega 3 & E Ultra is a great choice, as it contains omega 3s from flaxseed, fish oil, and more, plus it has 1,500 IUs of natural Vitamin E, a powerful antioxidant that helps protect the body from the oxidative stress of exercise, illness, and certain medical conditions. Your horse needs both omega 3s and omega 6s in his diet. 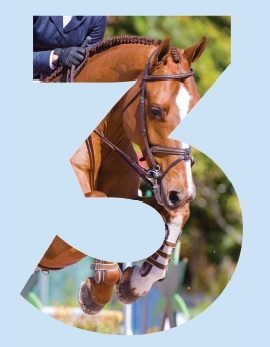 Because omega 3s support anti-inflammatory reactions, while omega 6s support pro-inflammatory reactions, you want twice as many 3s as 6s in your horse’s diet. Hay contains almost no omegas, and grains are much higher in omega 6s, so if your horse is getting anything other than pasture, you should consider adding a supplement rich in omega 3s. There’s an old saying that speaks volumes about the horse world, “ask four riders and you’ll get five opinions.” And there’s perhaps nowhere this is more true than feeding practices, particularly around supplements. On the other hand, it’s just as common to find horse owners who are true supplement believers, because they’ve seen firsthand the difference supplements have made for the horses in their lives. So who is right? As is often the case, both groups are, to a certain extent. The supplement skeptics are correct that our horses don’t need supplements to survive. However, the same generalization could be made about dental work, farrier care, injections and other therapies, and so many of the things that we know improve the quality of our horses’ lives immensely — and we firmly believe that supplements fall in that same category. The supplement believers, on the other hand, are right that supplements can help support healthy horses — there’s plenty of research to prove it. But not all supplements are created equal, and because not all supplement companies adhere to quality manufacturing and marketing standards, you can’t trust every product you see for sale. That’s why we firmly believe that — like most things — when it comes to selecting supplements to support your horse, quality counts. The equine supplement industry has been expanding rapidly over the last several decades. What started as a handful of brands offering support for basic areas of need has evolved into hundreds of companies offering support for everything from healthy hooves to respiratory wellness, metabolic health, and more. With so many options to choose from, and so many strong advertising claims, it can be hard to spot a quality product. Luckily, there’s a nonprofit industry group whose sole mission is helping owners pick quality supplements. Because SmartPak is committed to providing horse owners with the best quality supplements, we’re long-standing NASC members, and proud that our Co-Founder and CEO, Paal Gisholt, has been an NASC Board Member since 2002. Unfortunately, NASC membership is currently voluntary, and there are many supplement manufacturers who choose not to conform to labeling and marketing standards. As a result, horse owners can find a slew of supplements making outlandish claims, from preventing laminitis to curing cancer. That’s why our general rule of thumb is, if it seems too good to be true, it probably is. Now that you know how to look for quality, it’s time to think about what areas of support your horse might benefit from. When thinking about supplement shopping, we tend to put things down into two big groups — the basics and the problem-solvers. While every horse is different, there are several fundamental categories that offer support for normal structure and function throughout the body, helping your horse cope with everyday stress, as well as wear and tear. From joints to hooves and beyond, we’ll walk through these key categories in the next section, Best-Selling Basics. If your horse is dealing with a particular problem, like excess excitability, seasonal allergies, or something else, you’ll want to be sure to check out our Popular Problem-Solvers. Throughout the rest of this guide, we’ll walk you through the most widely used categories of supplements and help you understand how they work, and why your horse might benefit from support in that area, key ingredients to look for, and a selection of top picks to consider. As always, if you have any questions about selecting the right supplement for your horse, we’ve got people and tools that can help! Our Supplement Experts are riders and horse owners just like you, only slightly nerdier about horse health and supplements. Every SmartPaker goes through hours of equine health, nutrition, and supplement training before they start answering calls or emails, and the entire team regularly participates in continuing education to stay up-to-date on the latest research and best practices in the industry. 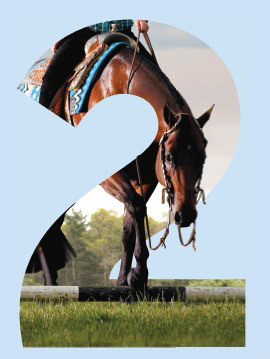 And all that expertise is always a call or click away at 1-800-461-8898 1-800-461-8898 or CustomerCare@SmartPak.com. And if you prefer the DIY approach, our online Supplement Wizard takes less than five minutes to give you a fully customized supplement recommendation, based on your horse’s unique living situation, workload, and individual needs — check it out here. Quality counts — look for the NASC seal, or other quality markers when selecting a supplement. Don’t believe everything you read — if an advertising claim sounds too good to be true, it probably is. SmartPak has the tools to help you shop smart — read through the rest of this guide to learn about top supplement categories, call/email our Supplement Experts for help, browse our Horse Health Library, use our Supplement Wizard, and more! Your horse’s joints power his motion, and unhealthy joints can affect your horse’s performance, and can even cut short the years you’re able to enjoy riding together. That’s why proactively supporting healthy joints is a sound investment. Too often, joint health is “out of sight, out of mind,” and horse owners don’t start thinking about it until their horse is showing signs of discomfort. This is unfortunate because not only is it painful for your horse, but arthritic changes (degradation in the health of a horse’s joints) are permanent and progressive, meaning once arthritis starts, it will continue to get worse. That’s why the best time to support healthy joints is right now! Think about it this way — do any of the following describe your horse? Young horse, horse in light work, horse in heavy work, performance horse, horse in recovery, or old/senior horse? If so, your horse may be at risk, because arthritic changes have been found in all these types of horses. In fact, research has shown that even wild mustangs can develop joint deterioration. When you add in the increased demands of riding and training, it’s easy to see how your horse’s joints may be experiencing more damage than his body can repair. Luckily, there are supplements that can help by ensuring that your horse always has a steady supply of the ingredients he needs to cope with the stress of exercise and maintain healthy joints. In normal, healthy joints, articular cartilage (the padding that sits on top of bones) provides a smooth, slippery surface that allows free movement and contributes to the shock absorbing properties of the joint. At the same time, synovial fluid lubricates structures within the joint capsule and contains components such as hyaluronic acid, which support and nourish the articular cartilage. However, when subjected to the stress associated with exercise and aging, your horse’s joints undergo a normal inflammatory response. If left unchecked, excessive inflammation may lead to long-term damage to the joint structures. Over time, joint tissues may develop scarring, synovial fluid may lose its critical viscosity, and articular cartilage may become thin. 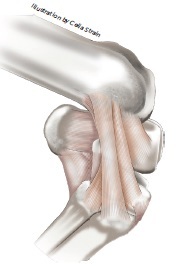 Eventually, the sensitive subchondral bone under the articular cartilage may be affected. Providing a daily joint supplement can help ensure that your horse has the vital nutrients his body needs to repair and rebuild the damage associated with normal wear and tear, and some comprehensive formulas can also help your horse’s body cope with the inflammation associated with regular exercise. Glucosamine: This building block of chondroitin sulfate is one of the most fundamental joint health ingredients. In fact, research suggests that glucosamine supports the production of new cartilage and inhibits cartilage breakdown. Chondroitin Sulfate: The building block of hyaluronic acid and proteoglycans, both of which are essential to healthy joint structures. Research has shown that chondroitin sulfate is bioavailable in the horse and that it appears to work synergistically with glucosamine to stimulate new cartilage production and inhibit cartilage breakdown. Hyaluronic Acid (HA): An integral component of joint cartilage and joint fluid, providing both lubrication and shock absorption. Because it blocks inflammatory reactions, protecting cells in the joint, HA is especially useful in acute situations as well as flare-ups of chronic joint conditions. MSM: A source of organic sulfur which is required for a number of functions in the body. 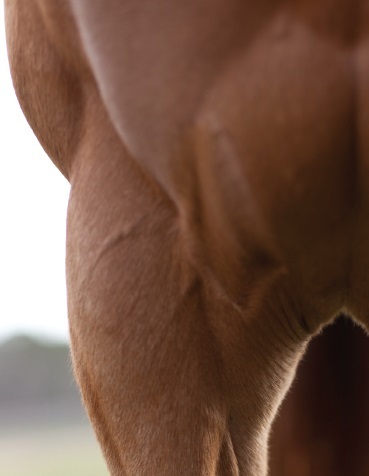 Sulfur plays critical roles in the formation of connective tissue, including the bones, tendons, and ligaments that make up your horse’s joints. MSM also helps support a normal inflammatory response. Vitamin C: An antioxidant that protects tissues throughout the body and is vital in the production of cartilage, tendons, and ligaments. Devil’s claw, yucca, and boswellia: These herbs are commonly used to fight discomfort in joints and other tissues, along with supporting a normal inflammatory response. All horses in work can benefit from a joint supplement, particularly those who are showing signs of stiffness or discomfort. Hooves are to horses as foundations are to houses — they’re the base that everything else is built upon. And just like your house’s foundation, your horse’s hooves need to be strong, solid, and reliable. Weak, unhealthy hooves can cause a variety of problems, from unsightly chips, cracks, and crumbling, to unsoundness and discomfort. But healthy hooves take a long time to grow. That’s because just like our own fingernails, the hoof wall is mostly composed of dead tissue, so it can’t mend and heal. Instead, damaged sections have to be regrown and replaced, and because your horse’s hooves grow from the hairline down at an average rate of 1/4" per month, completely growing out a healthy hoof wall can take up to a year! That’s why it’s a smart choice to support healthy hooves before your horse’s hooves show signs of weakness. The quality of your horse’s hooves can be influenced by a number of factors, from genetics to environment to workload. But all horses have certain nutritional requirements that need to be met in order for them to maintain strong, healthy, resilient hooves. Most basic hoof health supplements work by providing the key building blocks your horse needs to grow a strong, healthy hoof wall, including biotin, amino acids, and key minerals. Like most things, though, there’s more to your horse’s hooves than meets the eye. Your horse’s hoof surrounds, protects, and supports bones, tendons, ligaments, cartilage, nerves, and an intricate vascular network. These vascular pathways — composed of arteries, veins, and capillaries — function as a key element in maintaining the health of the foot. That’s because the strength of the equine foot depends on nourishment provided by good circulation and vascularity. This is why horses with a history of hoof issues — especially heel discomfort, slow or retarded growth, and uneven growth — will often benefit as well from a supplement designed to support healthy circulation. Biotin: This member of the B-vitamin family is vital to the growth of strong, healthy hooves due to its role in collagen formation. In fact, research has shown that supplementing with 10-30 mg of biotin per day may help support growth rate and quality hoof wall in horses who struggle with poor-quality hooves. Lysine, methionine, and threonine: Three essential amino acids, meaning your horse’s body can’t make them on its own, so they must be supplied in the diet. All three are also considered limiting amino acids, meaning that if your horse doesn’t get enough t in his diet, it can limit his body’s ability to synthesize the protein he needs for strong connective tissues (like hoof structures). Methionine in particular contains sulfur, which is essential for the cross-linking of the fibers that give hooves their tensile strength. Copper and Zinc: Both of these trace minerals play a key role in the formation and maintenance of connective tissue. Zinc is of particular importance due to its role in the formation of keratin, the structural protein that gives hooves their hardness. Arginine: This essential amino acid is a precursor to nitric oxide, which plays an important role in healthy blood flow. All horses can benefit from a supplement that supports strong, healthy hooves, particularly those horses who tend to have weak/poor-quality hooves prone to cracks. Your horse’s hindgut is responsible for digesting the complex carbohydrates your horse eats, including all of his forage (hay, pasture, and other roughage). Since, as you now know, the majority of your horse’s diet should be made up of forage, there’s a lot of work to be done! The primary digestive function in the hindgut is fermentation. In this process, friendly bacteria break down fiber into volatile fatty acids, which are usable sources of energy for your horse. Additionally, these bacteria are responsible for producing some B-vitamins and other vital nutrients. As you know from our Focus on Forage, your horse’s hindgut was built for constant grazing, and therefore, constant digestion. However, many barns’ feeding programs aren’t designed around this need, and large, infrequent, high-grain meals can cause major digestive disruption, upsetting the delicate pH balance of your horse’s hindgut, which can have wide-ranging impacts from colic to laminitis. Changes in hay, including simply feeding a new cut from the exact same field, can increase your horse’s chances of developing colic by 10x! Grain changes, including changes in amount, type, or brand, can cause a 5x increase in colic risk. Sudden changes in exercise or activity level have been shown to increase digestive disruption. One example is a sudden decrease in work and turnout, which is often associated with a horse going on stall rest due to injury. Digestive health supplements are a smart choice to help your horse cope with unavoidable sources of GI stress. Basic formulas focus on keeping your horse’s hindgut healthy by providing direct-fed microorganisms, which are responsible for hindgut fermentation (the primary digestive function), among other tasks. Providing a daily supplement is a smart way to offset the “good bugs” that die off naturally or due to disruptions in the delicate hindgut environment. More comprehensive digestive supplements may contain additional ingredients to support healthy gut flora, including prebiotics, yeast, and enzymes. Probiotics: These direct-fed microorganisms are beneficial bacteria that live in the GI tract, supporting your horse’s digestive and immune function. These “good bugs” break down food, produce energy and certain vitamins, support GI cells, and help keep harmful bacteria from growing. Prebiotics: These sources of non-digestible, soluble fiber serve as food for the beneficial bacteria (probiotics, above), keeping them healthy and functioning normally. Yeast: Research has shown that providing yeast stabilizes cecal and colon pH, helping to ensure a healthy gastro-intestinal tract. Additionally, yeast may aid in fiber digestion and assist the beneficial bacteria of the cecum in adjusting to feed changes. Enzymes: Amylase, lipase, and protease are enzymes that work together to break down fats, protein, and starch in the diet into smaller particles, supporting feed utilization and nutrient absorption. Due to the regular and unavoidable stresses that are proven to increase a horse’s risk of digestive upset, we firmly believe that all horses can benefit from daily digestive support. Your horse’s stomach plays a critical role in digestion, but the impacts of gastric health don’t stop at feed utilization (turning feedstuffs into energy and nutrients). An unhealthy stomach can cause wide-ranging impacts from weight loss to poor performance and irritability. This is because gastric issues, like ulcers, can be incredibly painful and persistently bothersome. Unfortunately, these types of problems are also very common. As you learned in Focus on Forage, your horse’s stomach was designed to continuously produce acid to aid in digestion. (If you read that section in detail, feel free to skip ahead to learn how gastric supplements work.) 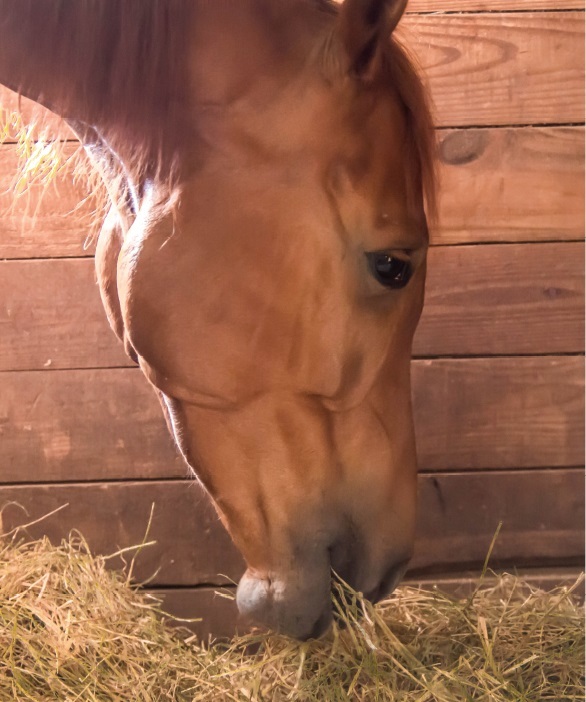 It’s this constant production of acid, combined with the infrequent meals many horse owners feed for convenience’s sake, that make gastric issues so common for our horses. Your horse’s stomach is covered with two types of lining: glandular mucosa and non-glandular (squamous) mucosa. The glandular mucosa, which contains the glands that constantly produce acid to aid in digestion, covers the bottom 2/3 of the stomach. 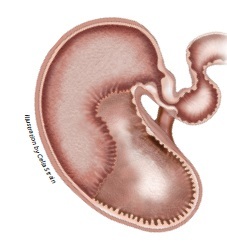 This region also produces mucus and bicarbonate to help protect the stomach from acid exposure. The more sensitive non-glandular mucosa covers the top 1/3 of the stomach. This area is where stomach contents are mixed, usually with buffering from food and saliva, so it doesn’t have as much natural protection from acid. If your horse’s stomach sits empty for long periods of time, excess acid can build up into the unprotected squamous mucosa and eat through the sensitive non-glandular mucosa. Because damage to the delicate upper stomach lining is so painful, your horse might display a variety of negative side effects if he’s experiencing tummy troubles. Some horses go off their feed because large grain meals can increase stomach acid. Other horses may show decreased performance when riding, especially if they’re worked on an empty stomach, as excess acid may splash around and irritate the non-glandular mucosa further. Formerly friendly horses may become cranky while being groomed or tacking up, especially if you’re working near the girth area. For all these reasons, it’s a smart choice to provide your horse with a daily supplement that provides support for normal, healthy, resilient gastric tissues. Gastric health supplements work in three primary ways—by providing ingredients to support the normal structure and function of your horse’s stomach, by serving up ingredients that can help buffer sensitive stomach structures against acid, and by offering ingredients that can help soothe any existing irritation. Calcium and Magnesium: In addition to the numerous roles these two macrominerals play throughout your horse’s body, they can also help neutralize excess stomach acid. Glycine: This amino acid has been shown to inhibit gastric secretions and protect gastric mucosa against stress. Glutamine: This amino acid plays a critical role in the repair of intestinal tissues, including your horse’s stomach lining. Sea Buckthorn: The berries of the Sea Buckthorn shrub provide a wide range of compounds whose antioxidant and immune-modulatory properties assist in normal GI tissue healing and repair. Aloe Vera: Aloe Vera is one of the most commonly used herbs today. The gel inside leaves has a demonstrated effect on GI tissue, most likely due to antioxidant and cell-protective properties. Horses in heavy training and/ or those who travel regularly, particularly for competitions, can all benefit from a daily gastric health supplement. 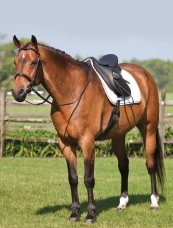 Additionally, gastric support is a smart choice for horses with a history of stomach issues. Your horse’s skin is a master multi-tasker with a number of important jobs. It’s his first line of defense against injury, insects, infections, and more. It helps with thermoregulation by activating the sweat glands when it gets too hot and by puffing up the coat to seal out the cold. It turns sunlight into Vitamin D and is loaded with nerve endings that keep the brain up to date on changes in the surrounding environment. Clearly, healthy skin is vital to a healthy horse, but it can be challenging to monitor the health of your horse’s skin because, well, most of it is covered in hair. Luckily, your horse’s coat can help serve as a report card for his skin health. A soft, shiny coat is an indicator of healthy, resilient skin, while a dull or rough coat likely suggests there’s room for improvement. The most common way that skin and coat supplements work is by supplying fats to support healthy, resilient skin and a lush, shiny coat. This is because essential fatty acids support the structure and function of skin cells, and increase oil production to enrich the coat. 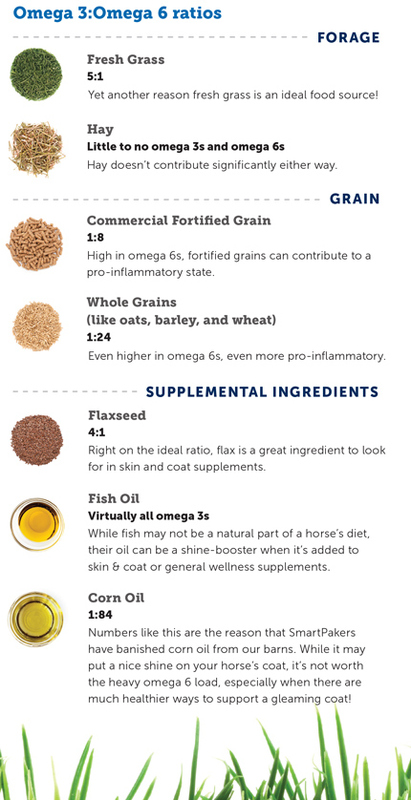 But as you learned in “Balance Your Fats”, not all fats are created equal, so it’s important to put down the corn oil and pick up a supplement that supplies plenty of omega 3 fatty acids from high-quality sources like the ones listed below. Flaxseed: One of the best plant sources of Omega 3 fatty acids, and a very palatable ingredient, even in powdered form. Fish Oil: While it may seem unusual to feed your horse a fish-based ingredient, fish oil is absolutely worth considering to support healthy skin and a shiny coat, as it’s rich in EPA and DHA. These two specific omega 3 fatty acids are known for their many proven health benefits. EPA has been shown to be healthful for kidneys, the heart, and arthritis in humans, while DHA has been shown to improve brain function in dogs and to support reproductive ability in stallions. Paprika and Nutmeg: These two spices are commonly found in skin and coat supplements designed for darker-coated horses, as they are believed to help protect black horses from becoming bleached in the sun. However, depending on how it’s sourced, paprika may contain a low level of capsaicin, a substance banned by USEF for use in competition, so if you’re competing, you may want to opt for one or both of the ingredients above. Horses with dull coats and/or dry skin are good candidates for a skin and coat supplement. Additionally, a daily dose of healthy fats is a smart way to put a healthy shine on any horse. Because most modern horses are subjected to the same common stressors (time spent in stalls, heavy workloads, unnatural feeding routines, etc. ), many horse owners have found that they want to provide support in the same key areas. That’s why over the last several years, multi-purpose supplements have grown increasingly popular. Depending on the brand and the ingredients, these versatile formulas usually combine ingredients from any or all of the categories we’ve covered in our best-selling basics—joints, hooves, digestion, gastric, and skin & coat health—often at a savings as compared to buying separate supplements for each area of support. With comprehensive coverage, these multi-faceted formulas are a smart choice for horses whose owners want to provide support in multiple areas and save. Now that we’ve covered the basics, we want to walk you through some of the most popular supplement categories for horse owners targeting a specific problem. Of course no supplement is intended to be a cure-all or a quick fix, so if you’re dealing with problems in any of these areas, it’s best to work with your veterinarian, nutritionist, trainer, and/or any other expert who may be able to help you identify the root of the problem. If you’ve ever ridden a nervous, excitable, spooky horse, you know that unpredictable nerves can totally take the fun out of riding. And if you’ve ever dealt with a moody mare who goes from “in your pocket” sweet one day to “stay away from me” snarky the next, you know that mood swings can really ruin a relationship. Stomach ulcers: This painful condition can become even more bothersome when working, which can cause a normally happy horse to become uncooperative. Too much grain: With grain comes sugar, and with sugar can come excitability; that’s why we recommend feeding the minimum amount of grain (which may be no grain at all). 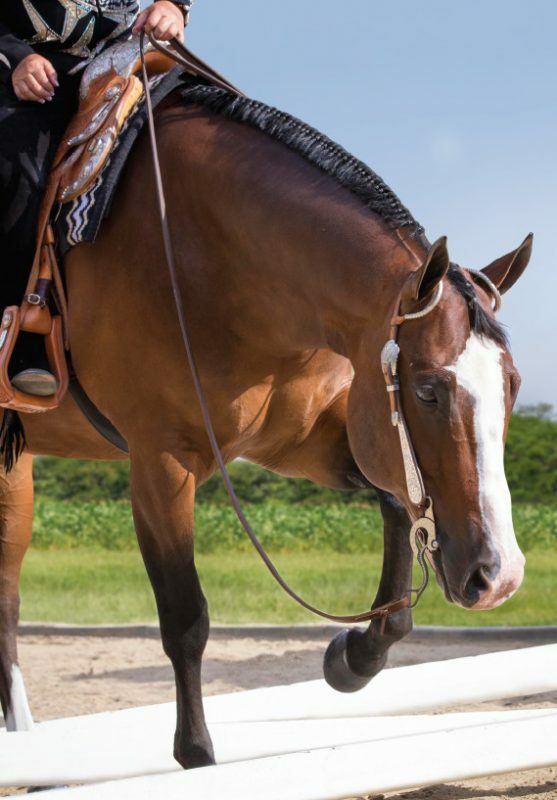 Too little turnout: If arena work is the only time your horse gets to stretch his legs, it should be no surprise when he’s wild and woolly; increasing turnout time can help improve your horse’s focus under saddle. Dental problems: As your horse chews and wears down his teeth, sharp points can occasionally develop and, if they become painful, that can come across as uncooperative behavior during your rides. If you’ve ruled out problems in those and other areas, a calming supplement may well be a smart choice for you and your horse. At SmartPak, we like to break calming supplements down into three major types: nutrient-based, herb-based, and moody mare supplements. Let’s take a look at each of those subcategories in more detail. As the name suggests, calming supplements in this sub-category provide nutrients that are already a part of your horse’s diet. Horses that aren’t getting enough of the key nutrients necessary for nervous system function may be anxious, so these formulas are designed to bring your horse’s levels into the optimal range for a properly functioning nervous system. Additionally, if you compete in rated horse shows, nutrient-based calming supplements are your only option, as herb-based and moody mare calming supplements often include ingredients that are forbidden by many competitive organizations. The formulas in this sub-category of calming supplements include herbal ingredients chosen for their effect on the horse’s nervous system. Many horse owners find that herb-based supplements have a stronger effect than their nutrientbased counterparts, so this sub-category may be a smart choice if you’ve tried a nutrientbased calming supplement and haven’t seen the results you were hoping for. In addition to many of the ingredients found in traditional herb-based supplements, formulas designed specifically for moody mares include ingredients that offer support for balanced hormones and an even disposition. Magnesium: This macromineral is a key player in nervous system and muscle function. Because one of the clinical signs of magnesium deficiency is nervousness, many riders find that their horses have a balanced temperament and are able to stay focused when supplemented with magnesium. Vitamin B1: Also known as thiamine, Vitamin B1 is important in the normal transmission of impulses along nerves, making it a smart choice for horses who are often on edge. Inositol: A close relative of the B-vitamin family, inositol is found in nearly every cell in the body. One of its roles is assisting in nerve transmission, which includes participating in the action of a neurotransmitter called serotonin. Improper serotonin levels are known to be a factor in anxiety levels, so inositol may be helpful for nervous horses. Tryptophan: This essential amino acid is a critical protein building block that needs to be supplied as part of your horse’s diet. Tryptophan is converted by the body into serotonin, melatonin, and other hormones that transmit nerve signals to the brain. Serotonin increases the feelings of wellbeing and contentment, so supplementing your horse with the precursor of it may help nervous horses feel relaxed. Valerian: This potent herb helps rebalance a nervous system struggling with anxiety. It can also help relieve muscle cramps and spasms associated with tension, so it’s especially helpful for horses that hold their anxiety in their muscles and get tense. Chamomile: Another herb with specific actions on the nervous system. It is especially helpful for horses that process their nervousness through their gastrointestinal system (you know, that horse in your barn with the “nervous tummy”). Hops: This herb has been used for centuries to help alleviate nervous tension, anxiety, irritability, and other disturbances related to the nervous system. In horses, it’s helpful for those that are prone to “mental anxiety” and become distracted and unfocused. Vervain: This herb may help balance the nervous system of horses who have excess energy, helping them slow down and concentrate on the job at hand. Passion flower: This herb supports a calm and relaxed disposition. It appears to be particularly helpful when used together with valerian, chamomile, hops, or vervain. Raspberry: The active ingredients in this herb support smooth muscle tone in both the reproductive and digestive tracts, helping to relax muscle that is in spasm. Vitex agnus castus: Also known as chaste berry, this herb helps maintain a balanced hormonal system. Cramp bark: Like raspberry, this herb helps relax muscle tension in both smooth and skeletal muscle, making it a helpful choice for mares who are uncomfortable due to spasms in both the reproductive and digestive systems. Any horse who is nervous, excitable, tense, or on edge during rides is a good candidate for a calming supplement (assuming you’ve ruled out more serious underlying causes). Additionally, mares who swing from mellow to moody may benefit from supplemental support. While spring and summer’s warmer weather makes for more enjoyable rides, it brings with it some less than desirable guests — insects. Whether flies, mosquitoes, or ticks, these pesky pests are at best a minor nuisance, distracting your horse during rides or driving him crazy in the pasture. But at their worst, they can carry diseases that cause major health problems and can be tricky to diagnose. That’s why we recommend a comprehensive insect defense strategy, including a premise solution like fly stoppers, a bug-blocking wardrobe (fly sheet, fly mask, and/or fly boots, depending on your horse’s needs), topical repellents, and an insect defense supplement. There are two main ways insect defense supplements work. They either make your horse unappealing to biting bugs, or they work to inhibit the development of larvae, stopping bugs before they start (some supplements offer a combination of the two). If you’re feeding a product that only inhibits the growth of biting insects, it’s best to feed it to every horse in the barn; otherwise you’ll still be bothered by bugs (though perhaps fewer than if you were doing nothing at all). Diatomaceous Earth: This whitish powder is made up of the fossilized remains of diatoms, a type of prehistoric, hard-shelled algae. While totally harmless to your horse, once passed in the manure, the microscopic particles have sharp edges that are said to penetrate the outer covering of worms and insects, causing dehydration and death, so they can help stop larvae from developing into adult flies. Diflurobenzuron and cyromazine: These insecticides act as insect growth regulators. They safely pass through your horse’s GI tract with no effects on your horse, and they go to work in the manure. Both ingredients are proven to inhibit the development of larvae into adult flies, reducing the population of flies around your barn. Who can benefit from an insect defense supplement? Any horse can benefit from an insect control supplement, but this is particularly true for sensitive horses, and those who develop reactions to bug bites. Like any athlete, a horse that struggles to breathe is going to struggle to perform at his peak. Unfortunately, seasonal allergies and other conditions make this a common problem in barns across the country. Again, once you’ve ruled out more serious problems with your veterinarian, adding a respiratory supplement may be a smart choice to help your horse breathe easy and enjoy his work again. The primary way respiratory supplements work is by supporting healthy tissues and structures throughout the respiratory tract, including the trachea and the lungs. Additionally, because seasonal allergies can cause difficulty breathing, some respiratory supplements contain herbs to help support a normal immune response (allergic reactions are a result of hyper-sensitivity in the immune system). MSM: Properly known as methylsulfonylmethane, MSM provides a source of organic sulfur, which plays a critical role in the formation of protein, connective tissue, immunoglobulins, and enzymes. This ingredient also supports a normal response to inflammation in structures throughout the body, including in the respiratory tract. Vitamin C: This powerful antioxidant protects tissues throughout the body from oxidative stress, especially those tissues in the respiratory tract. Interestingly, disease, transport, “heaves,” old age, and endurance exercise have all been shown to decrease blood levels of Vitamin C, indicating horses undergoing these particular stresses may benefit from dietary supplementation. N-acetyl cysteine: This modified form of the amino acid cysteine has been shown to protect tissues in the respiratory tract from damage due to inflammation and excess mucus production. Grape seed extract: The most concentrated form of the antioxidants present in grapes, grape seed extract works to neutralize the effect of free radicals (which are released due to injury, stress, or illness), reducing oxidative stress throughout the body. Super oxide dismutase: The most important and effective antioxidant in the body, and the first line of defense against free radicals that damage cells. Bioflavonoids: This group of plant pigments acts as antioxidants to protect cells from the damaging e-ffects of free radicals. Licorice and marshmallow: Herbs that can help soothe an irritated respiratory tract and support a normal response to inflammation. Horses with seasonal allergies and those who cough or have difficulty breathing during exercise may benefit from a respiratory supplement (assuming, of course, that you’ve ruled out more serious underlying causes). You’ve probably heard about “fast” and “slow” metabolisms in people, resulting in some folks having a tougher time gaining or losing weight. But did you know that the same is true for horses? 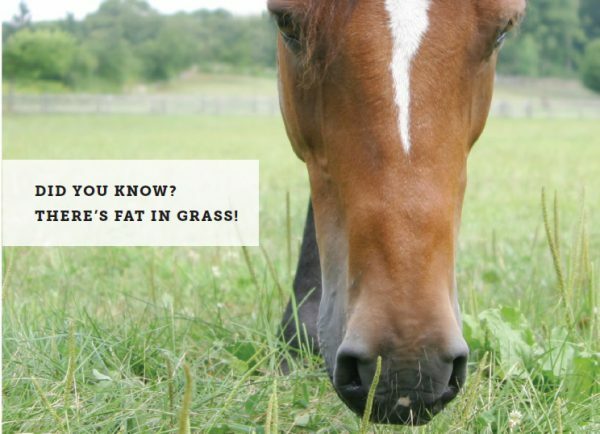 In fact, a recent study found that 50% of horses and ponies are overweight. While it’s tempting to think that chubby horses are cute, it’s important to remember that being overweight puts your horse at a higher risk for a number of health problems, from joint issues to heat stress to laminitis. If you’re struggling to get your easy keeper’s weight under control, work with your veterinarian and trainer to evaluate your horse’s diet and exercise program, and consider adding a metabolic supplement for additional support. Metabolic supplements work hard from the inside, providing ingredients to support proper insulin function, combat oxidative stress, and help maintain healthy blood sugar levels, all of which drives healthy metabolic function and helps support a normal, healthy weight. Chromium and magnesium: Minerals that work together with insulin to regulate blood sugar. Cinnamon and bitter melon: Herbs believed to help maintain healthy blood sugar levels. Any horse that is on a proper diet and exercise program and still has trouble achieving and maintaining a healthy weight may benefit from a metabolic supplement (assuming, of course, that you’ve ruled out any underlying conditions). Your horse’s muscles power his performance, so it’s important to make sure that he’s got the support he needs to feel his best, and a muscle health and recovery supplement can do just that. And because there’s also aesthetics to consider, some muscle supplements are more focused on helping your horse build muscles throughout the body, particularly along the topline. In order to build muscle, your horse needs a combination of both proper nutrition and stimulus (exercise). Along with regular riding, hill work and/or cavaletti exercises may be helpful additions to your horse’s exercise program if you’re looking to build strong, healthy muscle. But if your horse doesn’t have the right nutritional building blocks, no amount of exercise can make muscles materialize. That’s why a muscle development supplement might be a smart choice. When your horse exercises, the stress and strain of that work creates small tears in his muscle tissue. After working out, his body then sets to work repairing those small tears, and — over time — that’s how muscles become bigger and stronger. That’s why, if your horse is regularly working hard, it’s important to make sure he has adequate nutrients on board to help his body do that important repair work. Arginine, histidine, isoleucine, leucine, lysine, methionine, phenylalanine, threonine, tryptophan, and valine: These are the 10 essential amino acids, which means that they must be supplied in your horse’s diet in order for him to be able to synthesize protein (the building blocks of muscle tissue). BCAAs: Leucine, isoleucine, and valine are known as Branched Chain Amino Acids or BCAAs. Limited research in horses suggests these specific amino acids are mobilized during exercise and used by the body for energy. This preserves muscle glycogen and other, structural amino acids. BCAAs are therefore believed to delay the onset of fatigue during aerobic activities, and aid in the repair of muscle tissues after exercise. Vitamin E: This powerful antioxidant plays a critical role in healthy muscle function, and protects cells throughout the body from damaging free radicals, which can be released by exercise and activity. Magnesium: This micromineral plays an important role in healthy muscle contractions. Horses whose diet is deficient in magnesium may be unusually tense. Selenium: This trace mineral works with Vitamin E as part of the body’s antioxidant defense system. Horses who are naturally slender and need help bulking up may benefit from muscle supplements, as can horses who are regularly exerting themselves and need support bouncing back strong. There’s a Supplement for That?! Beyond the best-selling basics and popular problem-solvers, there are a variety of more niche supplement categories that may be able to help your horse. Take a look at some of these lesser-known areas of support. Anhidrosis is the inability to sweat adequately when necessary. This condition is most often seen in horses that live in hot, humid climates. Other signs include increased respiratory rate, elevated temperature, areas of hair loss and dry, flaky skin. Horses that lack stamina, are lethargic or easily fatigued may have an insufficient level of red blood cells. These horses may benefit from an energy supplement formulated to support healthy red blood cell production and overall stamina. Your horse may need immune support if he is in intense training, is trailered frequently, is recovering from illness, or is just getting older. A healthy immune system is necessary for him to withstand stress in the environment and to mount an appropriate response to various conditions. Your horse’s laminae are the tiny, interlocking “fingers” that attach the coffin bone to the rest of the hoof. Healthy laminae are a critical component to your horse’s overall health and soundness, but some horses are at risk for weak or otherwise compromised laminae, particularly overweight horses, those with poor metabolic and/or pituitary function, and horses that binge on sugar-rich spring grass. That’s why, for some horses, supporting laminar health from the inside is a smart choice, with ingredients like hops, omega 3 fatty acids, antioxidants, and MSM. The pituitary gland is one component of the horse’s endocrine system, which is responsible for producing hormones that regulate circulation, metabolism and growth, and reproduction Pituitary health supplements contain ingredients to help support endocrine health, normal immune function, lean muscle mass, and a healthy hair coat, areas of support that may be beneficial for many senior horses. Sand colic is caused by a build-up of sand in your horse’s intestines. Sand build-up can also lead to loose stool. If your horse is kept in a sandy area, avoid feeding hay on the ground. Sand colic supplements contain Psyllium, a source of fiber that helps prevent the build-up of sand in the colon. Choose either a daily dose Psyllium supplement or purge product intended to be fed one week out of each month. Many factors can influence weight loss including age, dental health, workload, nutrition, metabolism, digestive function and stress. If these are properly managed — your vet has ruled out other possible medical conditions — and your hard keeper still needs extra support, consider a weight gain supplement. These products provide extra calories from fat, and can include protein for lean muscle, ingredients for digestive health and Fenugreek to encourage a healthy appetite. Our smarts are at your service! Smartpak.com/Wizard Answer a few easy questions, and the Supplement Wizard will provide a custom supplement program for your horse in just five minutes.